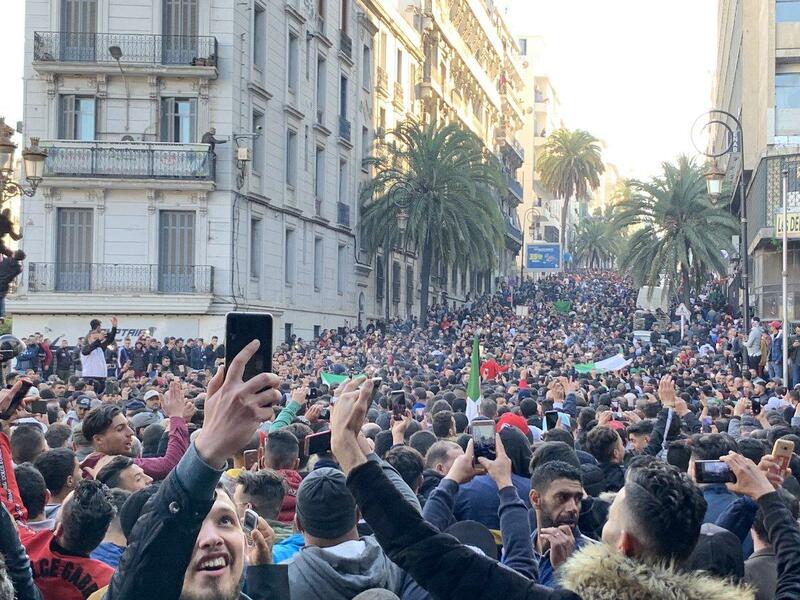 Algiers: Protesters persist in Algeria's capital to demand the immediate resignation of 82-year-old President Abdelaziz Bouteflika. 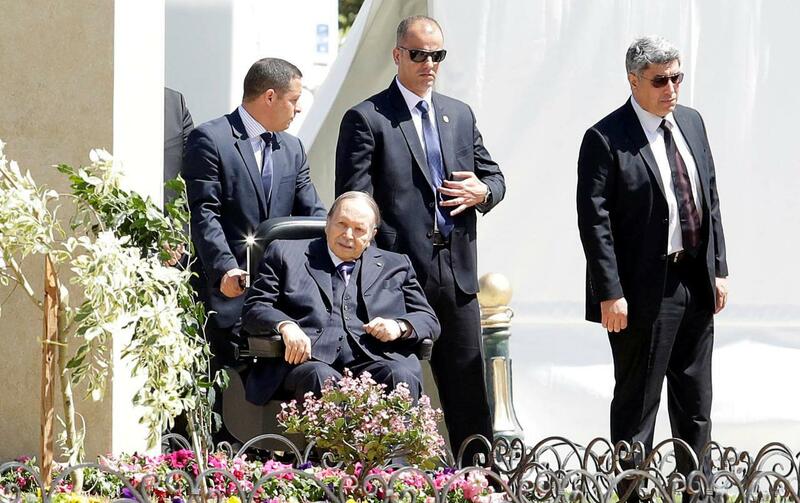 President Abdelaziz Bouteflika is hospitalized in Switzerland - his true health condition is unknown. Last edited by goldenequity; 03-16-2019 at 08:33 AM. Said Bouteflika (President's brother) believed to be the country's real puppet master and ruler. Last edited by goldenequity; 03-16-2019 at 08:17 AM. "The People Want: Ctrl Alt Del"
a sign capturing the global zeitgeist - Most media in Algeria is NOT free. either controlled by the State or regime tycoons. Last edited by goldenequity; 03-17-2019 at 06:46 AM. thanks to the Algerian people, Dictators civilian & military all across Arab lands are shaking in their jackboots thanks to you. People are hopeful again all over. hot potato: right now, there aren't legions of serious viable successors to Bouteflika racing to the table to replace him. People still remember vividly what happened Mohamed Boudiaf. The military brought him to lead, then he got assassinated. the situation is best summarized by this cartoon by Algerian cartoonist @DilemAli "I give up on a 5th term, but I'll instead do a 4th term of 10 years"
Meaning that the system isn't entirely out of the picture, and will try to stick around for a "transition"
Algeria is now a month in to mass "Arab Spring"-style protests, which have brought a record number of people into the streets demanding the removal of ailing 82-year old president Abdelaziz Bouteflika, and now it appears the military is prepared to act against the two-decade long ruler who has rarely been seen in public since suffering a stroke in 2013. In a dramatic development on Tuesday, Algeria's army chief has called for the invocation of a constitutional clause declaring the office of the presidency vacant. General Ahmed Gaid Salah, who also serves as the country’s deputy defense minister, said in a live speech broadcast on private television station Ennahar that the protesters' demands that he not run for a fifth term were "legitimate". This includes a demand that he vacate altogether, given it's widely perceived that he's physically unable to carry out presidential functions, and has not given a public address to the nation in over five years. "To resolve the crisis [in the country] right now, the implementation of article 102 is necessary and is the only guarantee to maintain a peaceful political situation," Gen. Salah said according to CNN. "These protests have continued up till now in a peaceful and civilized way ... and could be exploited by parties with bad intentions inside and outside of Algeria," the general added. Mass protests have destabilized the country and grabbed international headlines ahead of upcoming April 18 elections. President Bouteflika has refused to relinquish power thus far, but as demonstrations consistently overtook entire city centers this month during demonstrations, especially in the capital of Algiers, he agreed to not seek a fifth term. Article 102 stipulates that in the case of the president's inability to carry out his duties due to a serious or chronic illness, the head of the national assembly should take his place for a period of no more than 45 days. Algerians have grown increasingly frustrated that an apparently incapacitated Bouteflika has allowed the country to be ruled by an unelected civilian-military elite. #AlgeriaProtests: "Next Friday will be a major test for the movement"
There were signs that the country’s institutions were reacting with alacrity to the general’s call, unsurprising given the preponderant role the army has always played in the country’s politics. On Tuesday afternoon, Algerian television reported that the constitutional council, which as a first step would have to declare the president unfit, was already meeting in a special session. Even Bouteflika's own party, the National Liberation Front (FLN), has gone from mocking the initial demonstrations to reportedly giving expressions of support for their overall aims. Algerian President Abdel Aziz Bouteflika has reshuffled his government, leaving just six members of his previous administration in power, France 24 reported March 31. Prime Minister Noureddine Bedoui, who became prime minister early last month, will head the administration in the same post. Late in the day Tuesday the official Algerian state press agency APS announced the two-decade long ruler, Presdient Bouteflika, has formally resigned, finally giving in to both popular protests that have rocked the country for weeks, and following demands issued by army chief General Ahmed Gaid Salah that he immediately handover power. “President Bouteflika notified the president of the Constitutional Council of his decision to put an end to his term,” a translation of the APS news release reads. Have we just witnessed a quiet military coup in Algeria? Or is this a willing handover of power per constitutional requirements that the ailing 82-year old president Abdelaziz Bouteflika, unable to perform his public duties since suffering a strong years ago, should step down? The resignation came just moments after the Army repeated calls for him to leave immediately — a demand reportedly coupled with security forces arresting businessmen known to be close to Bouteflika. Algeria’s parliament has confirmed the nomination of Abdelkader Bensalah as interim president for the next 90 days following the resignation of Abdelaziz Bouteflika. Algeria's interim president, Abdelkader Bensalah, has set presidential elections for July 4, the Algeria Press Service reported April 10. Scheduling new elections theoretically allows new political parties and personalities to enter the race for Algeria's presidency, which has been controlled by the National Liberation Front's Abdel Aziz Bouteflika for 20 years. However, members of the political opposition and protesters fear that the ruling party and civil government will maintain control over the new elections without giving sufficient opportunities to other parties to run. 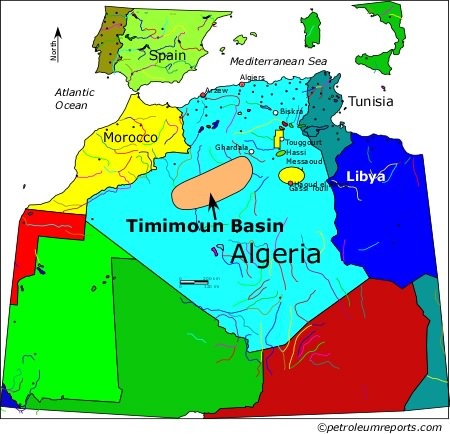 Algeria's interim government has scheduled a consultative forum on April 22 to discuss potential presidential candidates for July 4 elections as the country enters its ninth round of Friday protests, TSA reported April 18. Algeria's national gendarmerie arrested five billionaires over the weekend and an Algerian court has summoned former Prime Minister Ahmed Ouyahia to answer to charges of misuse of public funds, Al-Jazeera reported April 22. The detained businessmen are among the wealthiest individuals in Algeria and have close ties to former President Abdel Aziz Bouteflika. The arrests may serve as a sign that Ahmed Gaid Salah, chief of staff of the Algerian People's National Army, is attempting to assuage protesters demanding anti-graft measures by going after elements of the country's political system. What operating systems should I go with? I need 1 Windows & 1 Linux.